F – Find/Determine if the fear that you have is “real” or “perceived”, making sure to write them all down. Review the list and cross off all “perceived” fears, which will then leave you with your “real” fears. It is my guess that there won’t be many, if any, fears left. It is imperative that you are completely honest with yourself throughout this step. E – Educate/Evaluate. Fear is caused by the unknown. 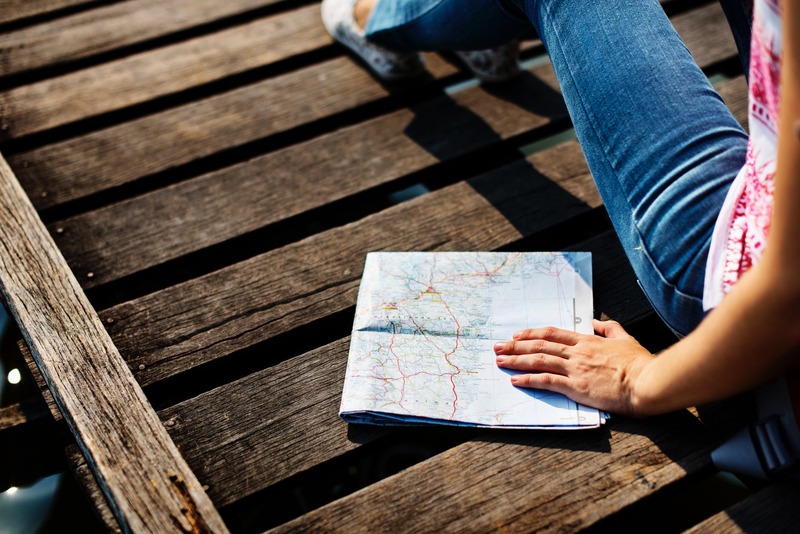 Determine where it is that you would like to travel (hopefully not in a war zone), and then educate yourself and evaluate the risks that might be involved in your chosen destiny. When evaluating your chosen destination, it is important to learn as much as you can about the destination, including culture, religion, language, etc. A – Assess. It is this stage of your solo journey that I believe is the most critical. You will now be armed with everything you need to know in order to make an educated and informed decision. If, through your research, you have determined that your chosen destination has too many unknown risk factors, not including “perceived” risk factors, then choose another destination. R – Ready. You are now a wealth of knowledge about your destination and you are now ready to burst that bubble and join the world of solo travel. Go with confidence. There is no doubt that solo travel can be intimidating, but once you burst out of that bubble, there is no turning back. Once you have completed your FEAR evaluation, the bubble has now burst and you are off and running. Well maybe not running, but you’re off! I can’t emphasize the benefits of solo travel enough. I guarantee that once you have travelled solo once, it will be in your blood. You won’t be able to wait to do it again. Solo travel has so many benefits that help you grow as an individual. They are endless! You have conquered your FEAR and you are now armed with all of the tools you need to burst out of your bubble and into the world of solo travel. Leave me a comment and let me know where your 1st solo travel adventure will be. If you are still hesitant and have any questions about your 1st solo trip, shoot me an email. I am always MORE than happy to help! I love solo travel and always appreciate other experiences and views, both from those who love it (and those who hate it). Thanks for sharing your thoughts and approach! I find solo travel very liberating! I remember when I left for Barcelona & Pamplona on my first ever Solo Trip. I was like okay here we go! For me, I went solo because I just got tired of waiting for any family or friends to get their act together so we could have adventures! Often we don’t go exploring because we are waiting on someone else and then we miss out and time flies by us! So by just going, you are living! Plus, in this world, you are never truly travelling SOLO unless you want to be alone. I think a great tip for solo travelers no matter what their age, is to stay in hostels. Don’t get me wrong, you don’t have to stay in a giant dorm style room in a horribly uncomfortable bunk bed, (unless that is your thing!) But get a private room in a hostel. Why? Because usually hostels are hubs for activities! They often organize group tours with other guests, they generally have a kitchen or restaurant where you can meet & greet, and usually they have a really cheap yet fun bar were everyone wants to interact with each other even just for a minute! We have always made friends in hostels and to be honest, many were some of the nicest places to sleep especially for the price! Great tip! I have never stayed in a hostel, likely because of my age. I had this preconceived notion that younger people stayed. I had no idea. Thank you! When I was 25 I met an adventurous lady in her 60’s staying at a hostel in London! She had so many great stories. We’ve stayed in touch ever since. I’ve traveled solo at certain events & places, but never on a plane or long distance car ride. I think it would be freeing and that I could explore a lot more! I love all the benefits you listed! Cynthia, exactly why I love solo travel! It’s so liberating! Thanks for the insights. While Iusually travel with a large group, i also travel solo for business quite a bit. It allows me to spend some time really seeing a destination. Thanks for the good read. Absolutely. One of the great benefits of solo travel is never being rushed. 2019, I’m making a goal to solo travel! I’ve never solo traveled before, but with your tips and advice, I’m making a point to this year! What type of a solo trip would be best for a first timer? That all depends on how out of your comfort zone you are willing to go, as well as how much of your time at home is spent solo. When I first started travelling solo, I was married, so I began by going on weekend getaways a couple of hours from home. My 1st solo abroad was to St Lucia, where I stayed at an all-inclusive. I then began to branch out by renting places. It is all entirely up to you, keeping safety in mind always! Well articulated Kelly! It’s been a few years since I’ve travelled solo (apart from the odd weekend). When I first started travelling, getting over the fear of going solo really changed me as a person and did wonders for my confidence. Thanks for the pep talk! I have camped in state parks many times on my own, but never really thought of that as Solo travel, but it was! I want to go so many places, to see so many things, and I don’t know when I let fear get in my way, but I did. In my 20’s, I left Louisiana in a clunker of an old car and drove to Vegas, in my 30’s, I went to a weeklong conference in Reno. I don’t know how I had forgotten that I used to just get up and go! I will be making a list, and planning a solo trip, or two, or three! Thanks for the great idea, my confidence is already coming back! That’s awesome Terri! If you can camp solo you can do anything solo! Let me know how you make out! I have never be a real solo- traveler before. The only times I am on the road alone was during my biz trip. Your tips would be useful if I travel alone once in the near future.